TGIF, H54F-ers!!! 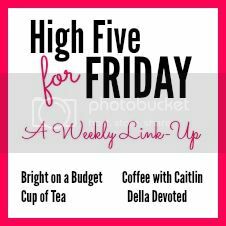 Caitlin at Coffee with Caitlin, Della at Della Devoted, Katie at Cup of Tea, and myself want to welcome you to the link-up and the weekend. We made it!!! It’s been a jam-packed week as I’m preparing for vacation next week. I have some wonderful guest bloggers lined up for you all of next week, so be sure to stop by and say hi to them! I’ll return next Friday for the linkup, of course. Next up. . .we’re trying out some technical details before doing doing a post with all the relevants, but don’t forget to mark your calendars for Thursday, August 27 at 9:30 PM EST for a Google Hangout! We’re envisioning everyone with a drink, in their PJs, curled up on the sofa for a good ol’ chat. We’ll be posting more info next week sometime, so stay tuned. 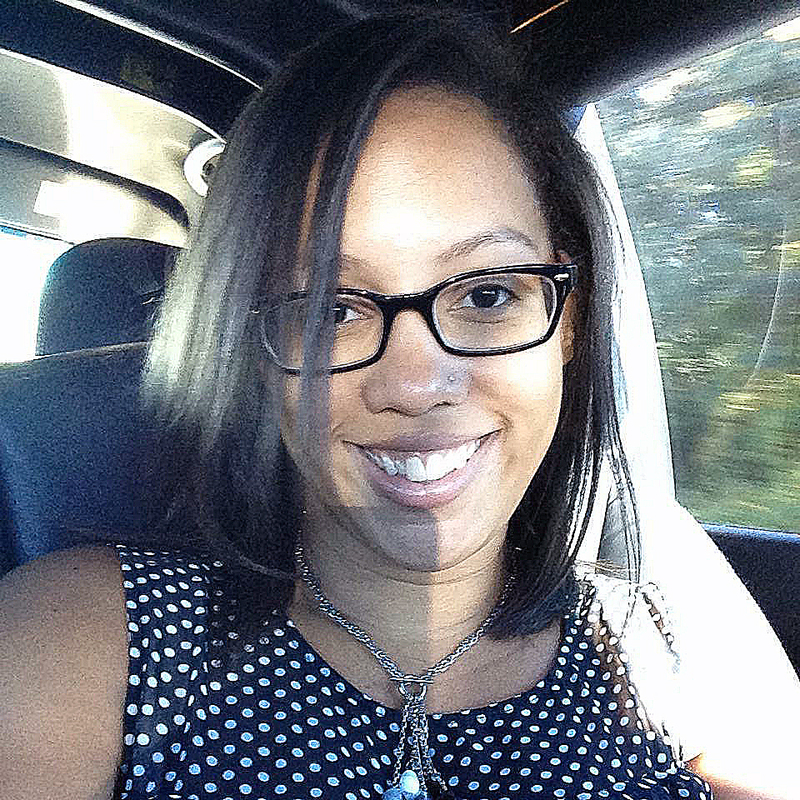 Moving along with business, our featured blogger for this week is Trish from Tales from Trish. Trish is a lifestyle blogger who likes to run, read, and crochet! While I don’t like to run, I do love to read and she has some great books on her teasers and reviews on her site! She just posted a fun “10 Things You Don’t Know About Me” post that you should check out. 1. I can now reveal that the 1st of several new collabs I was talking about last week is with Kentucky Brewed Tees! 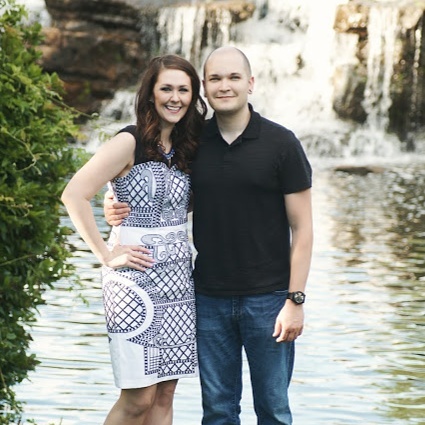 I, along with Courtney from the Bourbon Soaked Mom, am now a brand rep for the company! 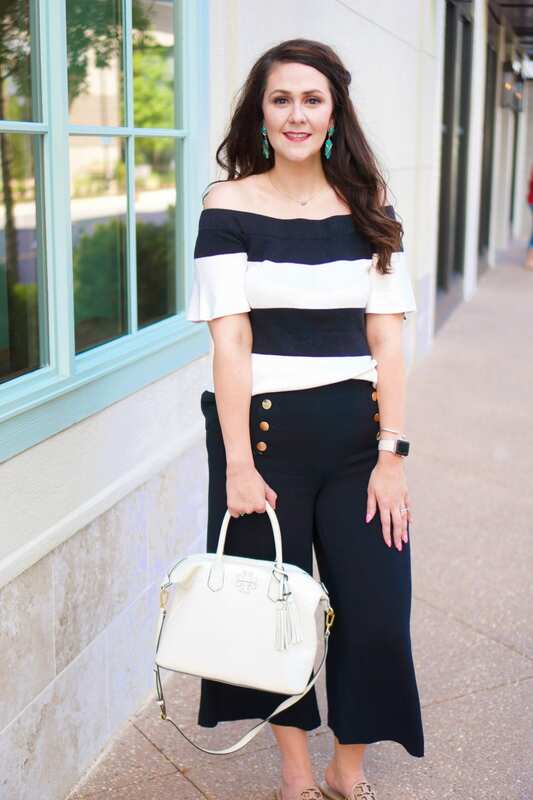 You may remember them from this outfit post. They’re an awesome shop that not only carries awesome merchandise but also cares about their community. I know they’re getting ready for a huge restock of their shop, but you can go ahead and shop their current stock here. Better yet? Use promo code BRIGHT for 10% off of your order! 2. I picked up two makeup brushes that I had really been wanting for a while– the Real Techniques Expert Face Brush and the Sonia Kashuk Contour Brush, No. 30. I’ve really been into contouring lately, and can’t wait to try these brushes out in the morning! Tip: when shopping for Real Techniques brushes at Wal-Mart, check the online price at the Walmart web! 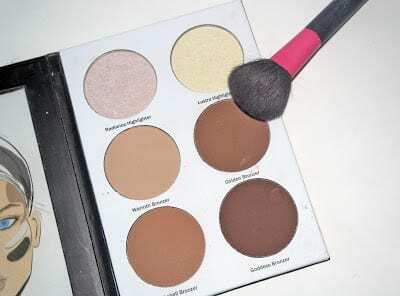 Speaking of contouring, have you checked out my review of the Ulta Contour Kit? 3. We declared Sunday a family day. 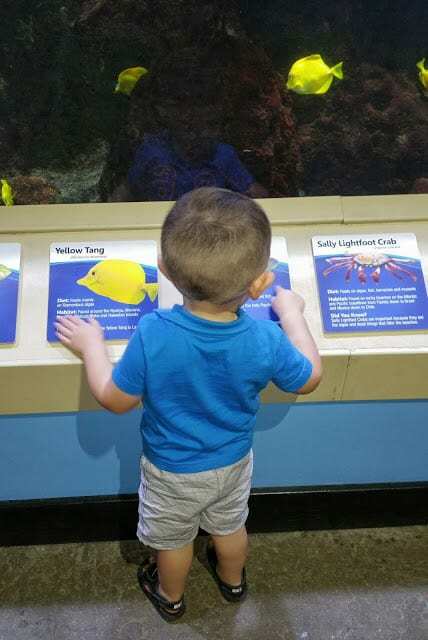 We hit I-75 north around midday and headed for the Newport Aquarium near Cincinnati. Kane had an awesome time! He enjoyed looking at the various fish, playing on the toys, and sticking his hands into the water at those petting stations. We all had fun. I even touch one of those tiny sharks (eek!). 4. Yesterday for lunch I had french fries and a slice of combination pie (1/2 peanut butter pie, 1/2 brownie) from Ramsey’s. Ramsey’s is a local chain of restaurants specializing in homecooked-type meal. It was decadent and delicious!!! 5. Friday was Pink Friday at Victoria’s Secret PINK! I purchased all of the items below for $65! 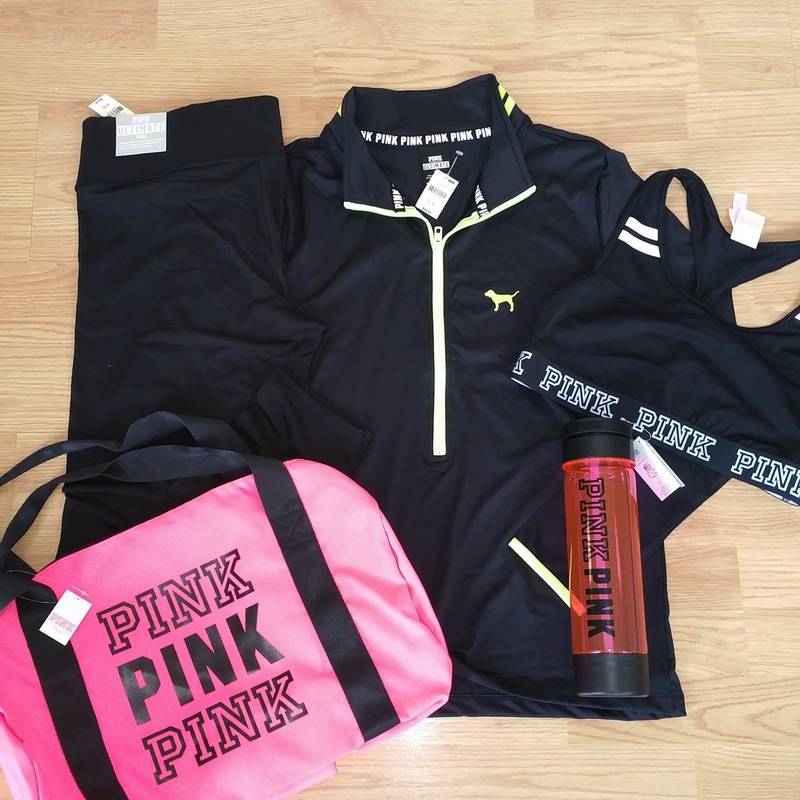 The pullover and sports bra were a $35 bundle, the Ultimate Yoga Leggings (my fav) were only $30, and then you got the duffle and the water bottle for free with any $65 purchase! I will probably put the free gifts with purchase back as Christmas gifts, but all-around awesome deal for the value you receive! You can get my outfit details here–dress is on major sale!! !